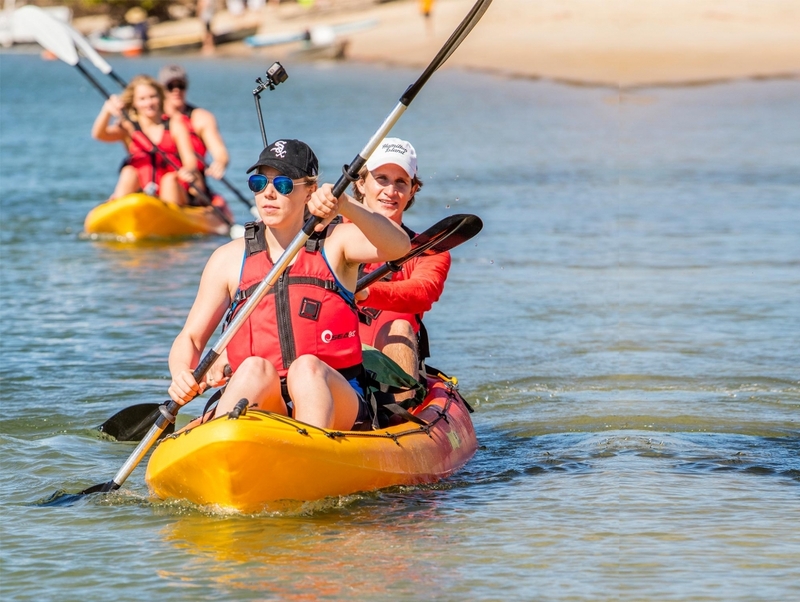 Paddle to the world heritage South Stradbroke Island while keeping an eye out for Dolphins and Stingrays (kayaking and safety induction before departure). Land your kayak in the welcoming coast of South Stradbroke Island and get ready to grab your board and embark in a surfing adventure. Discover one of the most exclusive beaches for surfing on the Gold Coast, away from the crowds! Enjoy a surf lesson with our qualified instructor who will teach you surfing techniques. Get into the water with your boards and instructor to feel the freedom of sliding through the waves. After all the action relax and grab fresh fruits and light snacks by admiring the waves and local surfers. Super stable and comfortable Kayaks (seats for your back support & life vests included). Dry bags included. Foam surfboards for beginners provided. No kayaking or surfing experience required. This tour is for beginners on surfing. Swimming experience is required. High fitness level. Full body wetsuits and hot drinks during the winter season included. This tour requires a minimum age of 12 years old. Tour duration: 3 Hours Approx. Departs on Tuesdays, Fridays and Sundays at 7:00 am; Note: if you require a different date and time please call to check availability. The tour duration: 3 hours approximately. This tour departs on Tuesday, Fridays and Sundays at 7:00 am. Departing from the iconic Broadwater, where our experienced tour guides will give you a kayaking safety induction to show you some kayaking techniques, we will paddle through its spectacular clear waters, where we might have the chance to spot dolphins, stingrays and hundreds of tropical fish. We will paddle through sandbanks surrounding the beautiful Wave Break Island and admire stunning Gold Coast city views on the background. 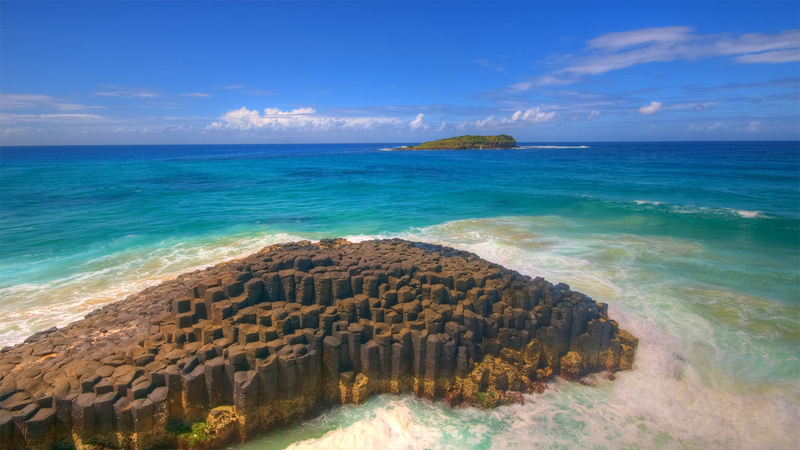 Reach the fifth longest sand island in the world and heritage-listed South Stradbroke Island or locally called “South Straddie”, a place that will make you feel away from the crowds just minutes from Surfers Paradise. Here you will grab your foam surfboard and we will embark on a bushwalk to its Eastern side, reaching one of the most exclusive surfing spots on the Gold Coast. During this scenic walk, we might have the chance to spot the Golden Wallaby, a pure species only found on this Island, as well as other wildlife. As the bush opens into the sea, you will admire a view that will take your breath away, over 21 Km of a pristine white sand beach giving you a sensation of freedom and immensity that cannot be described by words. Smile for the cameras, as our tour guides will make sure to record this moment for your memories. Get ready and pay attention to your surf lesson. Our instructor will show and explain surfing techniques covering water safety, condition assessment, board control, correct timing, turning, lying down on board and standing up. After listening and practising some positions on the sand you will jump into the water getting into the foam of the refreshing waves and get ready for the action and put into practice what you have learnt. Your surfing coach will be with you in a totally safe environment practising from waist deep water conditions surrounded by nature and an amazing variety of wildlife. After all the action relax and grab fresh fruits and light snacks by admiring local surfers manoeuvring the perfect barrel of waves. If you want to have fun, get fit, experience a very unique Australian adventure, learn to surf in a safe and relaxing environment away from crowds and experience the Gold Coast like you have never done before, then think no more, this tour is for you! No kayaking or surfing experience is required, but swimming experience is essential. You will be paddling in our stable and comfortable kayaks with our professional team who will look after you during the whole tour. Please note this tour is for beginners on surfing exclusively. Meeting time: 6:40 AM (FREE and UNLIMITED parking available). Dry Bags will be provided for your valuable items, but we are not responsible for any damages they could suffer on the tour. Surf Lesson Time: 60 minutes Approx. Snack Time: 20 minutes Approx. Paddling time to launch point: 40 minutes Approx.